I am 32 years old. Me and my ex hubby dated for six years, I started dating him whilst I was in grade 12, I was 19 years old. We were best of friends, I waited until he completed college and started work, my family and his family then met, we got married and had a son. (7 years old now). My husband was short tempered at times, but our problems started when I wanted to make him feel he can’t lead me. Every time we argue, I would pack my bags, go to my family and explain. My sisters would phone my husband and shout at him. Whenever he direct me I would always dare him that if you wish divorce me- I never wanted divorce, I just had pride and I never wanted to look a lose in his eyes. One day I pushed him so had that for the first time he beat me and lock me out side, I went to my family, my family took him to police, every time I looked like I am being abused! But to be honest, I used to abuse my husband emotionally. He was arrested and detained. I was asked by his family to withdraw the case, I felt that what I was doing is wrong. My husband was never a violent man, he did what he did because I pushed him to the wall. Of which he openly knelt down and apologized. I withdrew the charge, and we reconciled. After three months, I packed my bags after a small issue, and he remained alone. After two days I received a call that he is in hospital, my family told me that I shouldn’t go there because it will look like am begging him, and my sisters believed he is faking the illness. All this time, people felt sorry for me like I was the one being abused. He spent a week in hospital, after he came out, I just received a divorce summon. 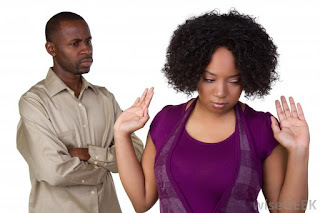 I wanted to say no to divorce, but because I felt this pride, I wanted him to change his mind and beg me, I called him and say he will get the divorce because I live like am in hell. When we went to court, I wanted to make him pay, so I told the court that I needed his properties to be shared. To my surprise he openly told the court that whatever he and me acquired together should be given to me, all he wanted was divorce. We got divorced in 2009 July. Now, this Saturday my husband is getting married again, whilst I am here wasted! My family are gossiping about me, I depend on what my ex gives to my son for survival. I know I wasted my marriage. I am here telling all wives to be careful how you get advise. Don’t be cheated. Even my young sisters are much more respected than me. Those who encouraged me to divorce are always bad mouthing me. There is no benefit in pride! This is a perfect example and advise for those dancing in some overrated ego. Be cautious and avoid enemy of progress disguised as closed family, friend, adviser to destroy your home. Work on yourself and on your partner, as long you both follow the solid foundation of marriage as laid down by God, you both will sort out your differences, work on each other weakness, and remain faithful to each other knowing fully that, both of you will render your account of stewardship to your maker.